This years Grand National was won by the small but mighty Tiger Roll, who ran his heart out under jockey Davy Russell. Trained by Gordon Elliott, this little horse was the winner of Friday nights Virtual Grand National and came to race on the back of winning the Cross Country Race at Cheltenham. Despite his proven success in other races, many felt that his small stature would prevent him from being able to win the National. But he proven them all wrong! 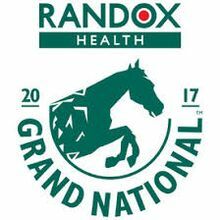 38 horses lined up at the start of the 2018 Randox Grand National after 2 withdrew early on. But while only 12 horses successfully crossed the finish line, the 26 other horses who lined up at the start all made it back to their stables safely. Many viewers were worried upon seeing screens up and the horses being guided around Beecher’s for the second lap. But I believe these screens were up for jockey Charlie Deutsch who took a nasty fall off of Houblon Des Obeaux. There have now been no fatalities in the Grand National since 2012 and there was only 1 fatality during the entire Aintree meeting this year. So while this sport is still a dangerous one, it is fantastic to see the steps being put into place each year to help prevent the loss of these heroic horses. And the Grand National could be becoming the safest race in the world.